As wonderful as Saigon is, we must move on. Three nights was just about right to see what we wanted to see, although I would not have struggled to fill three weeks. Or even three months. But we don't have the luxury of that sort of free time, so move on we must. Mrs P and I caught a flight to our next destination, technically Danang. Only very briefly though. A taxi met us at the airport to whisk us 45 minutes down the coast to the town of Hoi An. 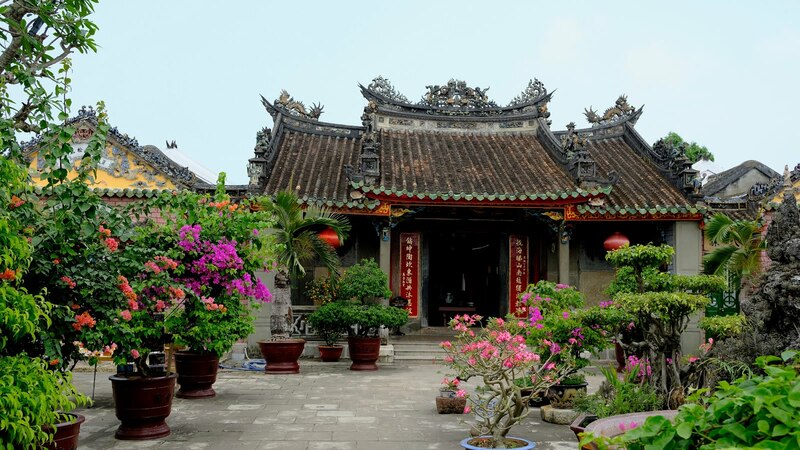 You've never heard of Hoi An? Perhaps a brief description will help. It sits at the mouth of a river halfway up the thin sliver of a country that is Vietnam. It's an old trading port, once very wealthy, doing deals with the Egyptians, Europeans and others. It can trace its history back well over a thousand years, was home to the Champa people, escaped the ravages of the 20th century wars and is now a UNESCO World Heritage site. Oh, and it's become something of a tourist Mecca, particularly famous these days for the thousands of lanterns that hand from every pole, beam and hook that can be found. Which makes it quite the sight at night. If you were to ask me which place was my favourite in Vietnam, well this is it. I could happily spend quite some time here. Could one retire here? I wouldn't entirely rule it out. It certainly has huge charm, and I felt it is the sort of charm that has staying power. 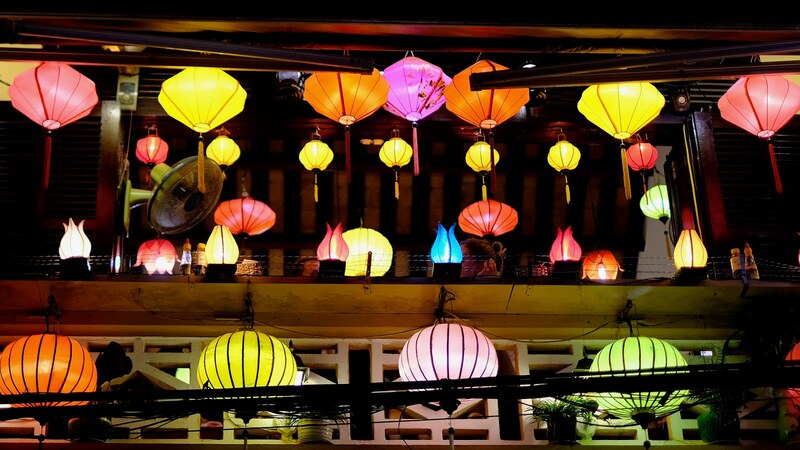 It's in a quiet-ish part of the country, but conveniently located close to a city of decent size with an airport that serves both Hanoi and Saigon with frequent, cheap flights. 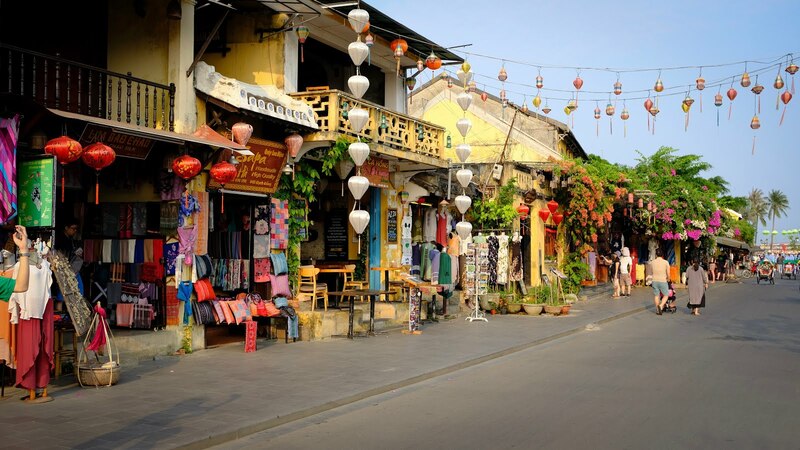 One of the great delights of Hoi An is that for much of the day and late into the evening, the entire historical centre is made a no-go zone for cars and the plagues of scooters. Pedestrians rule. The roads are peaceful walking routes. The air is breathable. Your ears find respite from the din of traffic. You can hear clearly the chatter and laughter of local sellers and their prey, the tourist. It is wonderful. Your senses are assaulted only by things you'd like them to be assaulted by. And I think I could happily spend many, many days, weeks, months here. We spent five nights here, the longest stop of our whirlwind tour. Mrs P initially had her doubts that I'd planned this correctly, that we should be moving on again, a little sooner. 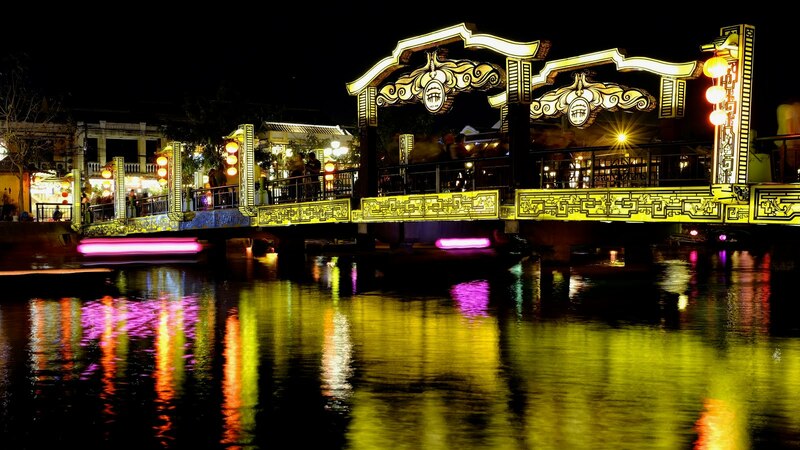 But we both agreed at journey's end, that actually, perhaps, maybe, one more night in Hoi An would have been a better plan.